The DaVinci Vaporizer is a small fast and light vaporizer for herbal therapy en route. Fits in almost any pocket and heats up very quickly. Also suitable for use with essential oils and quickly reloaded. 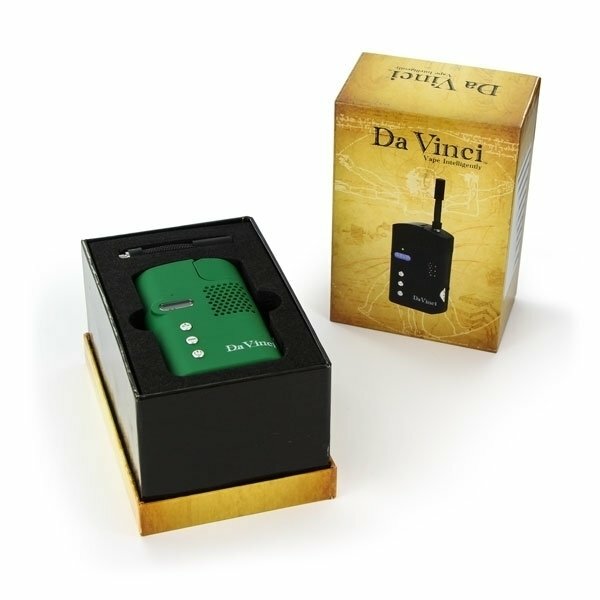 DaVinci, small fast and light vaporizer for herbal therapy en route. The DaVinci is a new Vaporizer designed by Karma Classic. At a size of only 4" (10,1cm) x 2.3" (5,8cm) x 1" (2,5cm) at 5.6oz (158g) weight, it fits in almost any pocket (the flexible mouthpiece can be detached for extra portability) and its casing provides an ergonomic grip. 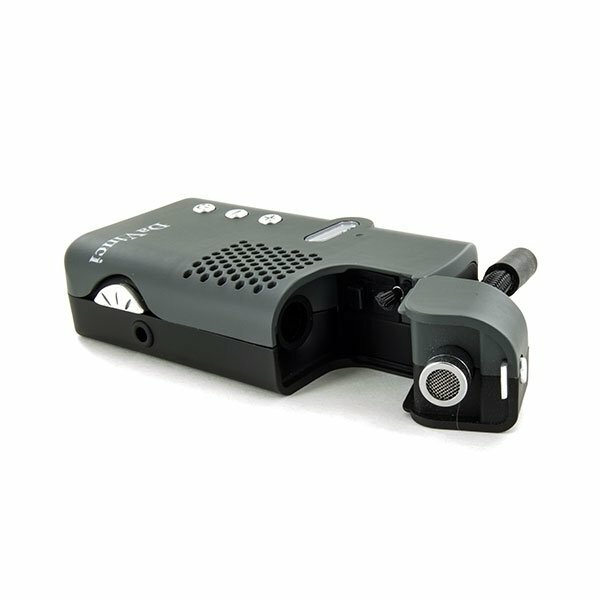 The DaVinci Vaporizer utilizes a stainless steel heating unit capable to reach a wide range of temperatures in an average time of 1 minute and 30 seconds. The heating unit shuts off after 10 minutes of continious use to prevent overheating and preserve battery power. 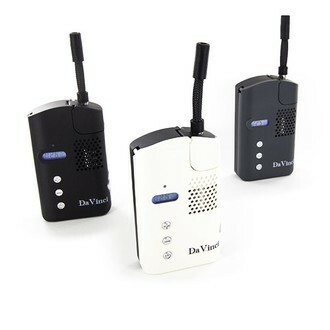 The DaVinci Vaporizer includes a separate filling chamber for essential oils, so even aroma therapy en route is no problem with this portable vaporizer. After switching the DaVinci Vaporizer ON, you will see the illuminated digital temperature display, now showing room temperature. Now use the up and down buttons to set the temperature to your desired value. We recommend starting off at 360°F (182°C); lower temperatures mean more flavour, higher temperatures a more dense vapor. After opening the lid of the herb chamber and filling it with your prefered material or the essential oil tank, press the lid back on until you hear it click. Next, press the HEAT button and the DaVinci Vaporizer will quickly heat up to the previously set temperature. This process takes only a bit longer than a minute and you are ready to enhale. Advice: Don't get too lazy after usage; clean the herb chamber after every use.